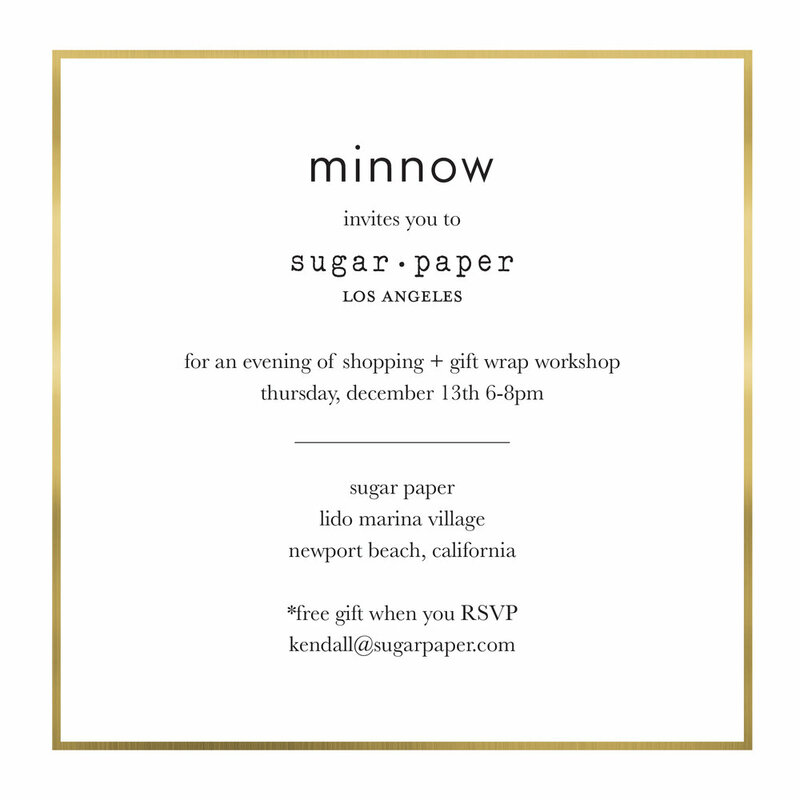 Join us at Sugar Paper as we get together with Minnow for an evening of shopping and learning how to wrap the "Sugar Paper Way". Bring in a gift you'd like to wrap and we'll take care of the rest! Ribbon, wrap, and all the fixings provided by us!